We adore the animal members of our pet-friendly Springs luxury apartment communities. Pets provide unconditional love and welcome companionship, but pet adoption should not be entered into lightly. It's a serious commitment of time and money that should be carefully thought over beforehand. Are you thinking of adding a furry roommate to your Springs Apartments home? Ask yourself these questions to determine if you're ready for this big step. 1. Why Do You Want a Pet? This question is first on the list because everything else proceeds from the answer. If you're looking for a companion or an exercise partner, those are two good reasons to get a pet. Adopting on a whim, or because you think a particular animal makes a cute accessory, are not. Examine your motivations carefully and honestly. Even cats, with their independent nature, require an investment of time to care for their health and well-being, and because they need love too! If you already have a busy schedule or you're not willing to sacrifice the necessary time, better think twice. Pets can be obtained inexpensively at most shelters, but just like their humans, they need food, accessories and healthcare on a regular basis. You should also allow for the fact that vet expenses will increase as your pet ages. Make sure you have room in your budget for maintenance costs and possible emergency charges. No matter how thoroughly you pet-proof your apartment, there are bound to be challenges along the way, whether they're bathroom accidents, scratched furniture or fleas. If you have a difficult time rolling with the punches, pet adoption may not be for you. 5. What are Your Long-Range Plans? Are you planning to start a family? Do you have a job that calls for you to relocate frequently? It's unfair to adopt a pet only to return him to the shelter system after a short time. 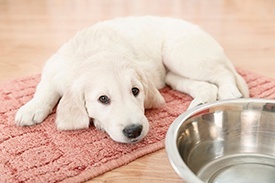 Decide whether or not your future plans will accommodate a pet in the long run. 6. Does Your Living Situation Allow for Pets? Fortunately, the answer to this question is, "Yes!" Our Springs communities accept a wide range of pets, including several larger dog breeds, and all include amenities such as off-leash dog parks and pet spa areas. What tip would you offer someone preparing to adopt a pet? Share it with us in the comments!